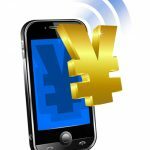 Chinese telecom operator China Unicom announced its strategic focus for 2012 and said it will focus on the sales of phones with the prices between CNY1,000 and CNY2,000. On December 12, 2011, China Unicom and ZTE, the Chinese telecom equipment maker, jointly launched a customized phone named Skate V960, which is recognized as a strategic product by Yu Yingtao, general manager for the sales department of China Unicom. Yu previously revealed during an interview that many manufacturers were developing phones with the prices between CNY1,000 and CNY2,000 and China Unicom will bring surprises to users in 2012. The company plans to introduce more cost-effective products then. Following the launch of Skate V960, other Chinese and International makers such as Huawei, Motorola, HTC, and Samsung will provide more options in this price range, said Yu. 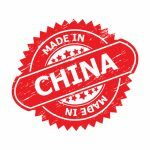 Products of this price range hold a 20% share of the market in China, which means a user group of about 50 million people. Therefore, China Unicom will cooperate with first-class makers in China and the world to meet the demands of these consumers. However, Yu pointed out that it does not mean the company will focus less on smartphones with prices lower than CNY1,000, because these products own 63% share of the market and more international brands expressed their intention to launch CNY1,000 smartphones. According to Yu, for the year 2011, China Unicom's sales of CNY1,000 smartphones made by ZTE, Huawei, Lenovo, Coolpad, and Amoi is expected to be over 10 million units.